Parenting is an honor, a reward, and a challenge! It’s a skill we’re not born with, so we have to learn about it and practice it if we are going to be good at it. The better we get, the more rewarding it can be! This page is dedicated to parents of younger children. Check back regularly to explore these helpful resources. Here’s a link to a simple and helpful infographic for parents who want to be helpful to their children who suffer from worry and anxiety. No parent is the perfect parent. 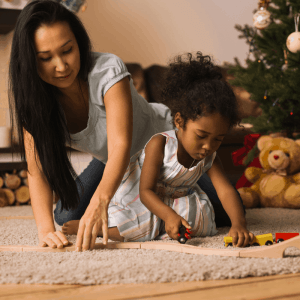 We all have strengths in some areas of parenting and room to grow in other areas. It’s helpful to know where we are strong and where we need to do some work for improvement. This parenting competency test will give you some helpful feedback on your strengths and your growth areas as a parent. CLICK HERE to give it a try. It’s free! 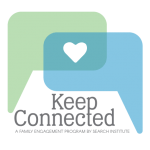 Keep Connected is sponsored by the Search Institute and provides outstanding resources for parents free of charge. 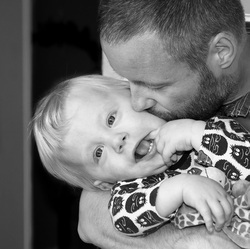 The following links provide helpful developmental information and support for parents with children of all ages. Visit our youth ministry parent page for support with teen parenting issues. CLICK HERE to access a library of resources for Catholic parents! CLICK HERE for the Loyola Press Family Faith Activity Page.